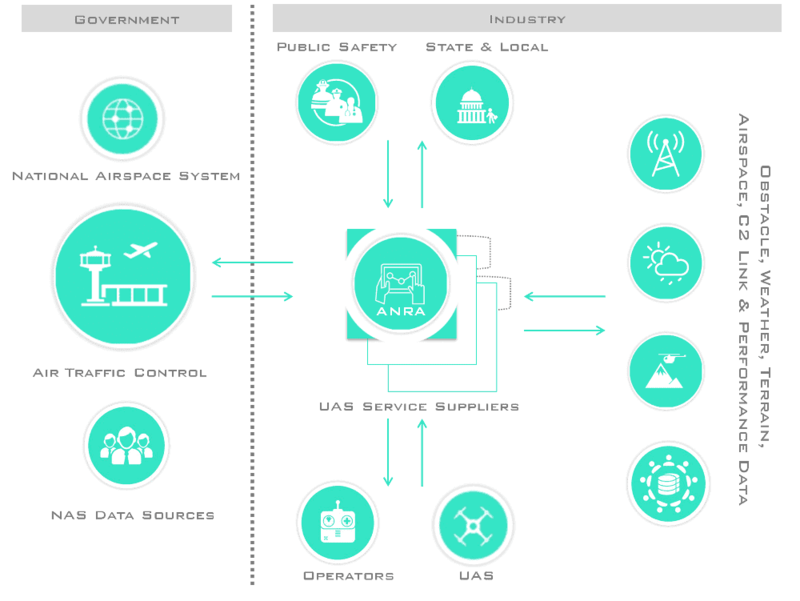 ANRA Technologies, a developer of commercial drone operations and unmanned traffic management platforms, has announced that it has been selected for the UK UAS (unmanned aerial system) Traffic Management (UTM) program. The Program is part of a wider program which is government led and across the public and private sectors, aimed at enabling safe integration of drones into UK airspace. This program is under the governance of the Transport Systems Catapult (TSC) which is working with ANRA Technologies as a UTM service provider (UTMSP) along with support from the appropriate UK Government regulators as well as an Air Navigation Service Provider (ANSP) and other stakeholders. Currently, numerous UTM services are developing independently of any framework – potentially resulting in uncoordinated low altitude air traffic. There is a need to explore a future UTM architecture that enables multiple UTM stakeholders to participate in the distribution of information and intelligent control of airspace. The focus of this program in the UK is the creation of a UTM framework within which the UTM service providers (UTMSPs) will operate. The program aims to investigate how and what information may be exchanged between different UTMSPs and the required data sources such that airspace coordination can be attained to achieve the critical safety requirements. “We would like to congratulate ANRA on joining the development of the UTM framework for UK. Having a joined-up approach to UAS traffic management will be a key enabler to wider adoption of this technology and commercialisation of Beyond Line of Sight drone operation. We are sure that ANRA’s experience in this area will support the project in creating an impact for this high growth potential sector.” Said Mark Westwood, Chief Technology Officer, the Transport Systems Catapult.